From our new base of Rosas, Costa Brava spreads its charms. 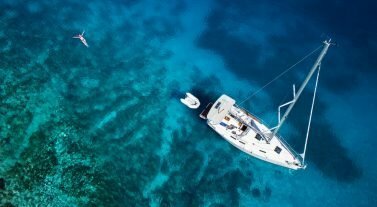 With three natural reserves, more than 200 km of coasts, and 17 marinas, it’s a top destination for sailing. Fishermen villages and resorts alternate. At the foot of the Pyrenees, you will appreciate the numerous “calas” hidden between two reefs. 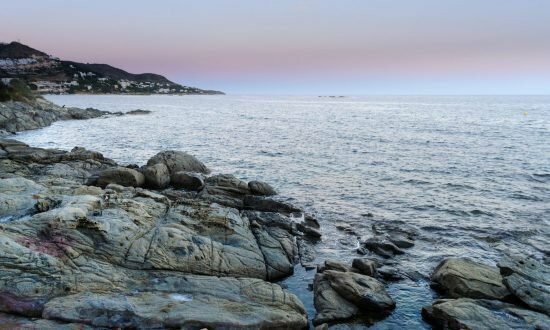 Don’t miss Cadaqués and the Cabo de Creus (natural reserve), or, sailing south towards Barcelona, the Maresme coast and its long white sandy beaches. 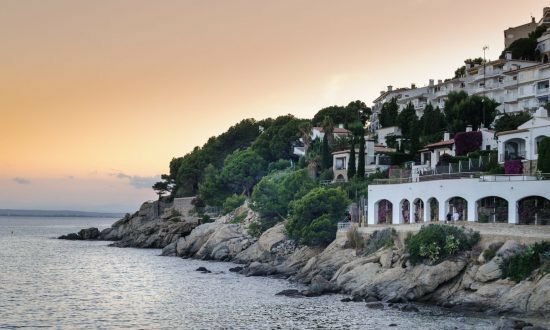 The former Greek colony of Rosas is located on the Costa Brava. Not only is Rosas known for being a fishing center it is also a tourist hot spot. Fishermen villages and resorts alternate along the coast. The coast also features many beaches and coves among the Rosas rocky cliffs. Visitors can enjoy a great variety of water sports as well as walking in the nearby Cap de Creus Natural Parks. A passport issued within the past 10 years and valid for 3 months beyond your planned length of stay is required for British, Canadian, Australian, U.S. and other nationals from outside the European Union (EU). EU nationals traveling from one border-free Schengen country to another are not required to show a passport or national identification card, but carrying a valid passport or ID card is recommended. Possession of a return ticket to your home country may also be required for entry into Spain. Note: You may asked to present documentation related to the purpose of your trip, your return flight, yacht reservation and proof that you have sufficient funds for your stay upon your entry into Spain. Most travelers from Britain, Canada, Australia and the United States staying less than 90 days aren’t required to obtain a visa. To determine whether you will need a visa, contact the nearest Spanish embassy or consulate. Various types of visas are available to travelers: tourist, business, and transit visas. ATMs: Most are linked to Cirrus and Plus systems (confirm your ability to use your ATM card overseas with your bank). October-March, Mon.-Fri. 0900-1400 hours and Sat. 0900-13:30 hours. Europe/Madrid time zone. Standard UTC/Greenwich Mean Time (GMT) +1. Daylight saving time UTC/GMT +2. In Europe, daylight saving time begins on the last Sunday in March and ends on the last Sunday in October. No special precautions or vaccinations are required. For a medical emergency or other emergency, dial the Spanish emergency services at 112. Pharmacies, called farmacias, have large red or green crosses on their signs. Use sunscreen with a high SPF and drink plenty of water. The local tap water is safe for drinking, bathing and dishwashing. Rosas warmest month is July and coolest is January. October is considered the rainiest month. Rosas maintains an average humidity throughout the year of around 70%. Leave Roses and sail Southeast. After Almadrava beach, you’ll sail along the rocky coas. In front of Falconera point, sail East to Norfeu cape. From there, you’re sailing with the natural reserve of Cabo Creus. After Norfeu cape, follow the coast and enter in the bay of Joncols, where you will find the beautiful cala Joncols, a creek with crystal clear waters where you can moor. There you’ll find a restaurant in the hotel del Chirinquito. The hotel offers a water taxi service (VHF = channel 13). After lunch, relax and swim. In the middle of the afternoon, leave Cala Joncols and sail southeast and then northeast towards the bay of Cadaquès. From your mooring in the bay, admire this beautiful village at sunset. There’s also a taxi-boat service (VHF = channel 9). After your night in the bay of Cadaquès, set sails early in the morning to Cabo de Creus. Cabo de Creus is the northern point of the Iberian Peninsula and is famous for its pristine waters and its spectacular creeks (La Guillola, Cala Culip, Cala Galladera,…). After Cabo de Creus, explore some of these beautiful calas, and sail back (Southwest) to Cape Norfeu. Then sail Northeast to Cala Montjoi where the famous chef Ferran Adria had his renowned restaurant « El Bulli ». It is said that it could reopen soon. After a last swim, sail to back to the bay of Roses. Rosas – Begur – Palamos – Blanes – S’Agaró – L’Estartit – Cadaqués – Roses. Set sail soutward, crossing the bay of Roses, towards La Escala. Leave the village of La Escala portside, and go on till Medes islands. 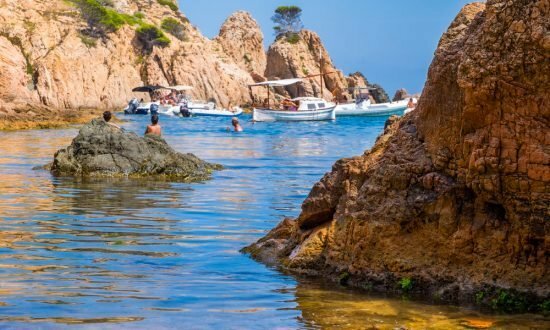 On the way you will see one of the most beautiful creeks of northern Costa Brava : Cala Montgo. Anchor there and enjoy swimming and sunbathing. Have lunch either on board or in one of the pleasant beach restaurants of the creek. After lunch, departure to the steep coast of Montgri mountain massif, which compose, with the Medes islands, the natural park of Montgri Massif – Medes Islansd. You will discover huge rock formations and small coves, only accessible from the sea. The Medes islands are famous for their seabed and diving spots. Then sail south to Cap Negre, close to Begur. After the village of Begur, head southward to one of the nicest creeks of this area, Aiguablava, an excellent mooring for the night. Leave Aiquablava early morning and sail along the coast till Castell beach and its crystal clear waters. After lunch, after a short sailing, you’ll reach Palamos. Palamos is a fishing port, where there’s still a large fleet of trawlers, fishing the famous Palamos prawns. Take this opportunity to taste the best prawns in the Catalan coast. There are many restaurant downtown, not far from the fishing port. You’ll go out of Palamos and will cross the bay, southwest. After Playa de Aro on your starboard and San Feliu de Guixols. Keep on sailing till Garbi point. Continue till the bay of Tossa, where you’ll moor for lunch. Then set sails to Blanes where you’ll spend the night. In the afternoon visit Blanes historical center or its botanic garden. Blanes is located at the very south of Costa Brava. You’ll sail to the north east to moor in the nice creek of Giberola. In the afternoon set sails to the bay of S’Agaro and cala Sant Pol, a beautiful bay where you will moor for the night. Early morning, leave S’Agaro bay and start you day of sailing till the center of Costa Brava. After the cape of Begur, go to Cala Sa Tuna (Aiguafreda) where you can stop and have lunch. In the afternoon, departure to L’Estartit, where you will spend the night. In the morning, set sail to Cadaquès. Cross the bay of Roses till Cabo de Creus (Falconera point). After the point, head to cala Montjoi or la cala Pelosa. Cala Montjoi is famous for chef Ferran Adria’s renowned restaurant « El Bulli ». It is said that it could reopen soon. Cala Pelosa offers a beach restaurant. In the middle of the afternoon, departure to the bay of Cadaquès. Explore this wonderful village. Early departure to Cabo de Creus. Cabo de Creus is the northern point of the Iberian Peninsula and is famous for its crystal clear waters and its spectacular creeks (La Guillola, Cala Culip, Cala Galladera,…). After Cabo de Creus, head to the creek on your route: Cala Culip, a wonderful mooring. You may of course choose cala Guillola. After a swim, leave cala Culip or Guillola bacl to Cabo de Creus and route to cape Norfeu. Before cape Norfeu, enter the bay of Joncols to moor in cala Joncol and enjoy the beautiful scenery. There you’ll find a restaurant in the hotel del Chirinquito. The hotel offers a water taxi service (VHF = channel 13). After lunch and a last swim, set sail to Roses. We’ll wait for you in the marina. Night on board and disembarkation on Day 8 at 09:00. Car rental : you’ll find various car rental companies in airports and at Figueres-Villafent train station. It is advised to book in advance in high season (June – September). A valid driver’s license is mandatory to rent a car. Seat belt is mandatory for the occupants of the vehicle. We can organize your transfers, feel free to consult us. The usual documents are the same for Spain as the ones for the reste of Europe and the Schengen area. A valid passport (until 3 months after the end of the sojourn) is requested for UK, Canada, US and Australian citizens and non-EU citizens. Most of UK, Canada, US and Australian citizens will not need to apply for a visa for a stay under 90 days. To enquire if you need a visa or not, contact the Spanish consulate / embassy of your country of residence. A valid return ticket may be asked to enter Spain. You may also be asked to provide a document justifying the purpose of your stay (charter contract, return ticket) and to prove that you have enough money to cover your expenses during your stay. No precaution or specific vaccination to be planned. For any emergency, call 112. Pharmacies are called « farmacias » and their sign is a red or green cross. During spring and summer, protect yourself with high UV index sunscreen and drink plenty of water. Local tap water is drinkable. Don’t be surprised, a Catalan understands Spanish, but speaks and answers in Catalan (historic hegemony of one of the oldest European languages). The warmth of Catalan people, their kindness, their smile and the ease with which their offer you their assistance will compensate easily for this cultural detail. Habits and customs: Cover your arms and your legs when visiting churches and religious sites. No specific dress code to respect, but some night clubs and restaurants impose to wear a shirt and a tie. In large cities, bars and restaurants are open all year long, whereas in some touristic seaside towns they only open during the summer. If Spanish people usually take on long break between 13:00 and 17:30, most of the shops and restaurants stay open all day in touristic places. Time Zone: Europe/Madrid zone. Standard UTC/GMT +1. Summertime UTC/GMT +2. In Europe, summertime applies from the last Sunday of March and ends on the last Sunday of October. Costa Brava benefits from a mild weather all year long (about 300 days of sunshine year). It’s rainier in winter and shoulder season, with winds blowing from East or South. Summer is dry and warm, but cooled by the sea breeze. Temperatures: summer average temperatures between 27 and 30°C, with possible peaks at 35° in the land. In the winter the average temperature is between 08 and 12° C. It can freeze in the land, seldom on the coast. Sea average temperature is about 11°C during the winter and 23° C during the summer. Wind : in the whole area, strong winds are more frequent between October and April. The tramuntana, emblematic wind of Emporda and Catalonia, blows from West- North West on Midi-Pyrénées and Perpignan areas. On the Mediterranean Sea, it turns North, following the three capes: Bear, Creus and Begur. Mooring: as everywhere in the Mediterranean, anchoring in sand is permitted, but anchoring in seaweeds and seagrasses (Posidonia) is prohibited. You must use mooring buoys when they’re available. If not, control the seabed around your yacht. It takes several years to replenish a sea grass bed and only a few second to plunge into warm water with a mask. Weather is often considered as changing along Catalonia coasts. Strong winds can blow during several days, and this will affect your sailing program. Ask our team for assistance to prepare your cruise. Our knowledge of the sailing area and its meteorological conditions are your best assets for a serene cruise and your crew’s safety. The Natural Reserves of Cabo Creus, of Aiguamolls (swamp) of the Emporda and of Montgri, Medes Islands and Baix Ter : three various protected areas, of high biological value, where nature is dominating. Do not forget the picturesque Mediterranean towns of Cadaquès or Calella de Palafrugell. 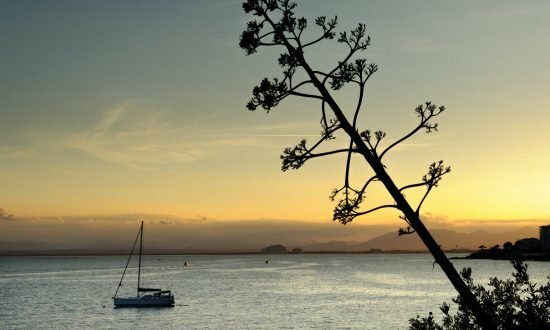 There are lots of unique places such as the Bay of Roses, the lake of Banyoles, the Botanic Gardens of Santa Clotilde, Pinya de Rosa, Marimurtra and Cap Roig.